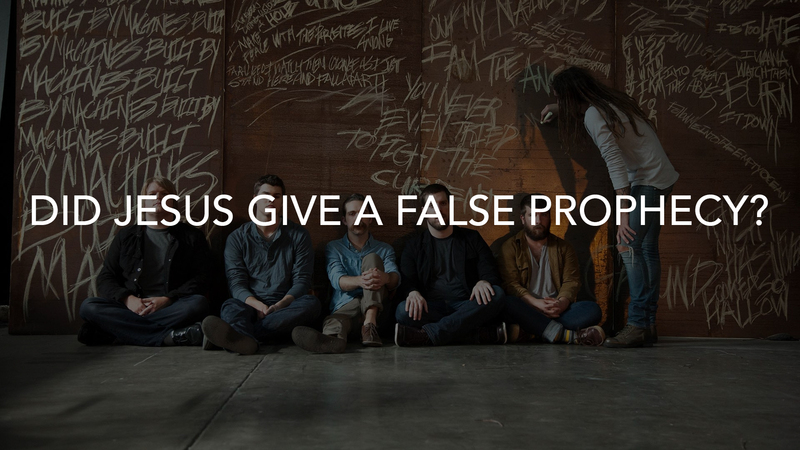 You are here: Home / podcasts / #248 – Did Jesus give a false prophecy? Don’t miss this exciting and informative episode of Apologia Radio! We engage with some interesting current events including a well-known “Christian” band that has abandoned faith in Christ. We also engage, at length, with some comments from a Mormon missionary who claims that Jesus gave a false prophecy in Matthew 24 (according to the writer of Scripture). Jeff and the gang are passionate about this particular issue and set out to demonstrate with the Scriptures that not only is Matthew 24 not a false prophecy, but, it is demonstration that Jesus is the Messiah because what Jesus prophesied came true and was in direct fulfillment of what the Old Testament had promised about the coming of the Messiah. You do not want to miss this one! It is powerful. And the subject is vitally important to know about because this young missionary is not the only person who attempts to mishandle Matthew 24 in an effort to make Jesus look like He gave a false prophecy. Be “always ready”, brothers and sisters. You can partner with us and make all of our content possible by signing up for All Access. When you sign up you minister alongside of us and you also get our TV show, After Show, and Apologia Academy. Sign up today!